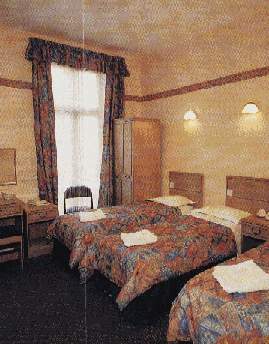 Modern, newly refurbished hotel centrally located within 2 minutes of Marble Arch, Hyde Park and Oxford Street. St. James Park, Buckingham Palace, Houses of Parliament, River Thames, Madame Tussauds, Museums, Heathrow Airbus, Paddington station with links to the Heathrow Express and NCP car park nearby. Most rooms have private en-suite facilities, Satellite TV, hair dryer/shaving point, tea and coffee making facilities, clock radio, morning call system, clock radio, direct dial telephone, and free cots if necessary. Underground stations include Marble Arch and Paddington stations. Main Line include Euston, Paddington and Kings Cross. Buses include 2,6,15,36,73 and many more!